Transition to adult life requires preparation and practice. The Phoenix Center is proud to be the first private school in the state to receive approval for its supported employment program. Under the guidance of The Phoenix Center Transition Coordinator, individual transition plans are developed and the following transition services are provided to Phoenix Center’s students. Community Based Instruction is a regularly scheduled program that provides the opportunity to practice and collect data on the academic goals of our students within a community setting. The purpose is to provide structured opportunities for skill generalization. Specific community activities are predetermined by classroom teachers and our CBI instructor so that they directly correspond to the students’ communicative and academic needs. All community based lessons and activities are aligned to New Jersey Student Learning Standards (NJSLS) and The Phoenix Center’s modified daily living skills curriculum. Once a year, an Over 21 Transition and Recreation Fair is held in The Phoenix Center’s gymnasium. This event is designed for families and the professionals who work with them and is an excellent resource for learning about a variety of support services available in your county. This program aims to provide students with authentic opportunities for learning in supportive, dedicated environments. Currently, the program maintains four working labs within the school: a teaching kitchen, dorm room, laundry room and vocational room. 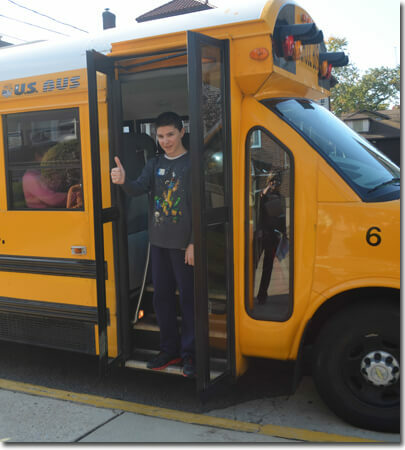 Students are introduced to skills in these areas, or work to maintain and refine their skills while staying aligned to the New Jersey Student Learning Standards (NJSLS) set forth by their individualized education plans.